Note: Slight spoilers in this post. 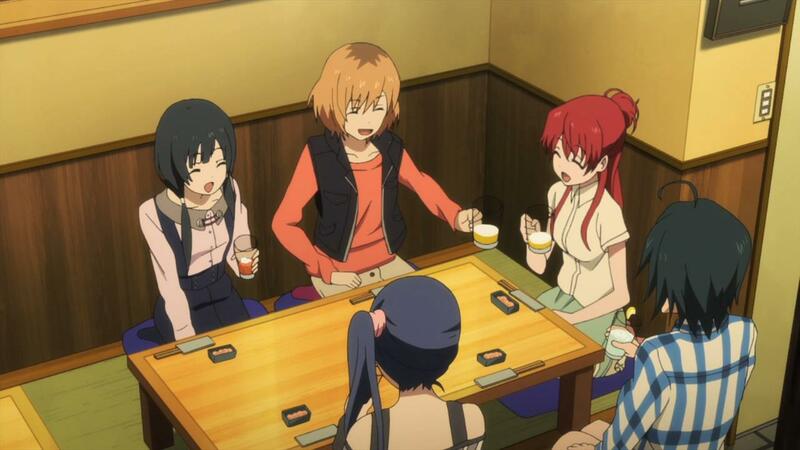 Shirobako, is a fascinating anime about making anime, and it paints a stark realism to real life working environment. Yes, realism. The first episode introduced to us five girls, making an original anime in their high school club for the cultural fair. Anime high school girls. 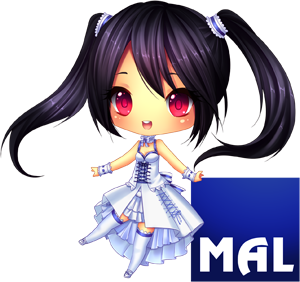 Moe designs. Making anime. This looked like this was going somewhere huh? 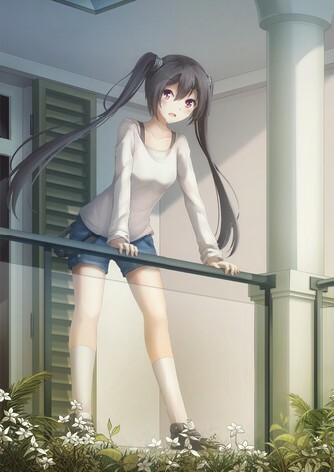 However, betraying my expectations, the scene suddenly shifted to an adult Aoi behind the wheel, but severely exhausted; her hair disheveled and black circles visible under her eyes. Pretty much how I go to work every damn morning. Don’t get me wrong, I like cute girls doing cute things as much as the next person, but I’m not sure how would Shirobako fare if they were to utilize this format and used their high school as the main setting. 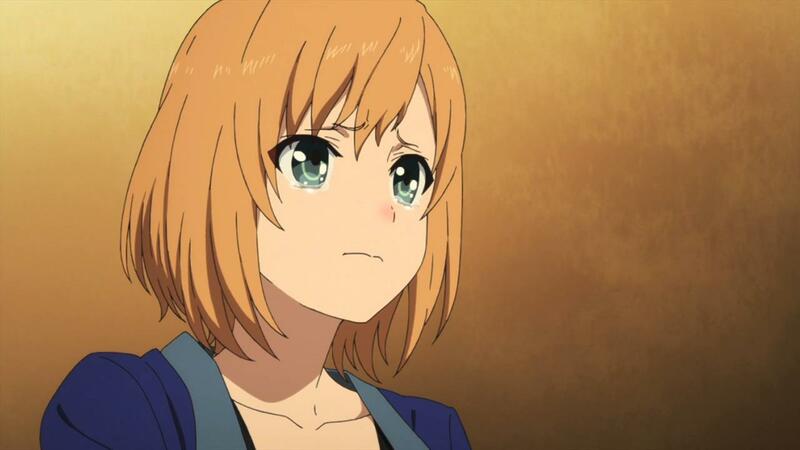 Granted, Shirobako definitely has the “cute girls” part but the “cute things” part is a little… I feel one of the reason why Shirobako is such a special, compelling anime is that it’s especially grounded to reality, and instead of high school, they used the workplace, or more specifically, Musashino Animation (or Musani, for short) as the setting. Shirobako is an insightful anime which very realistically depicts the Japanese working environment, and when you think about it, said working environment is honestly not that different from any other companies. You attend meetings, you answer to your bosses or superiors and you have to work with uncooperative pricks. For example, who could ever forget the ever trouble-maker Tarou? Annoying to have at your side, boastful, insensitive, and seem to give you more problems than he is worth. There’s also Hiraoka who spreads his negativity around the workplace like wildfire. 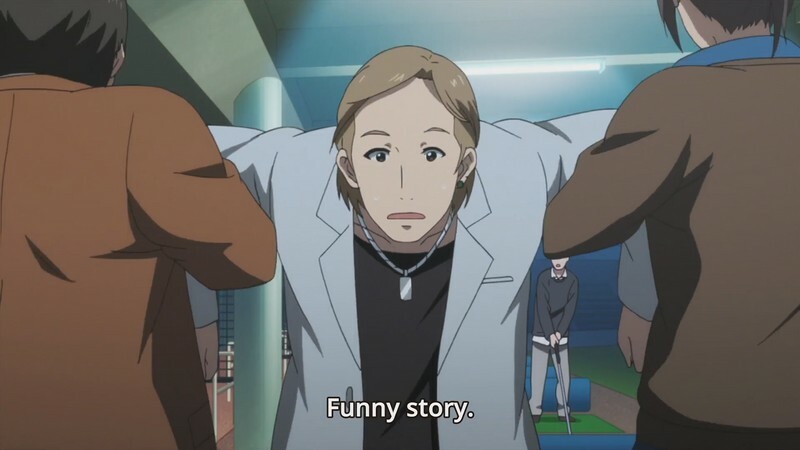 Last but not least, there’s that ever annoying “funny story” guy (picture above), who caused the Musani to cancel and re-do their work multiple times just because of his half-assed job at relaying information from Nogame, the original creator of Third Aerial Girls Squad to Musani. Drinking after a hard day’s work. Furthermore, the mindset behind these working adult characters are spot-on, despite just a bit exaggerated. When the anime just finished it’s first half, I written sometime ago how I could relate to the five main characters, but that’s not to say I can’t identify with the other characters as well, because I certainly do-these characters are pretty much real life stereotypes. One character contemplated on resuming his work in the animation industry or to change his profession and work as a baker in a cake shop. Another character worried about her drawings not being up to par with the creator’s standards. 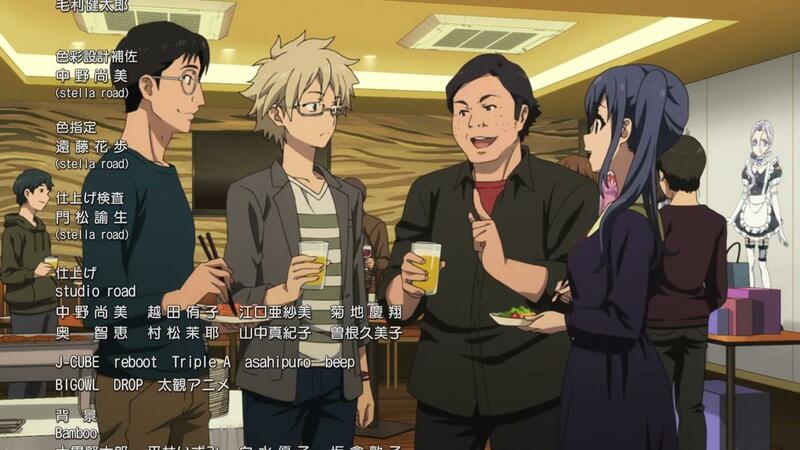 Another character lost all his passion in anime production after being exposed to the realities of the industry. 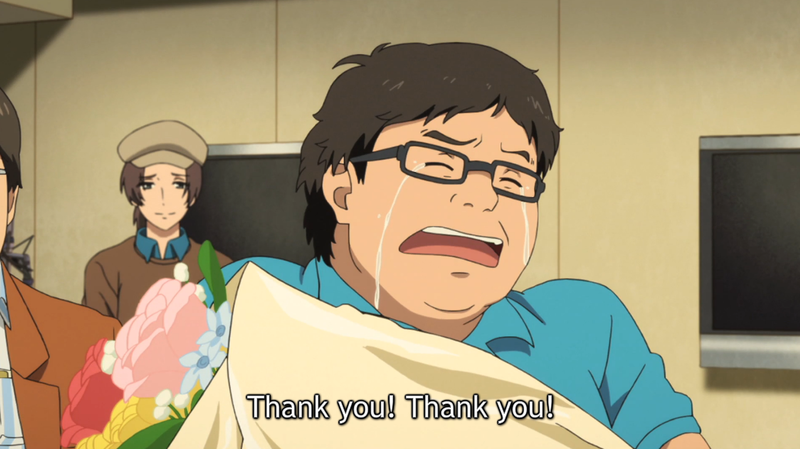 What I like about Shirobako is that most characters have understandable motivations and reasons to act like the way they do-and once again, these very motivations and reasons are especially grounded to reality, which could very well be the same issues troubling some real life working people somewhere around the globe. Even if the characters are mostly relatable, that, of course, doesn’t make all of them equally likeable. 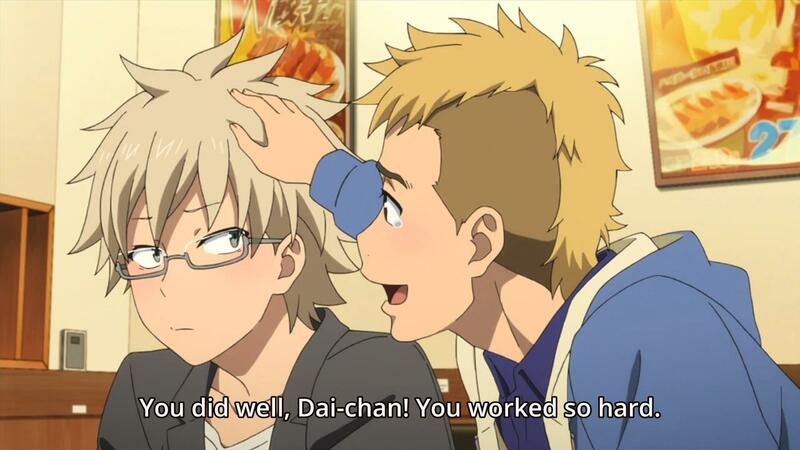 Hiraoka is notorious in this aspect, and indeed, I relate the hell out of him-his struggles at work are uncannily similar to mine, though I never had a fight with any of my co-workers. That doesn’t mean I like him, but I had to say, even by the last episode, I think he turned a bit, (just) a bit likable. Look at the group he’s having a conversation with in the credits (check his left side, especially). Surprise huh? Characters and their realism is one thing, but to top if all off, Shirobako itself is an incredibly meta show. One of the best thing about the anime is that while it’s very insightful and pragmatic about the way it showed us the anime-creating process, it’s also integrating plot elements into it at the same time. One of my favorite episodes is the “CG Animation VS Traditional Animation” segment-it gave us a realistic insight on how prominent CG had become, and thus, the insecurities of traditional animators like Endou. Similarly, the anime kept up with this along the course of the show-providing insights of the anime-creating process while integrating plot elements along the way. It’s killing two birds in one stone-you’re learning a new facet of the anime industry, while immersing yourself in an interesting meta story. 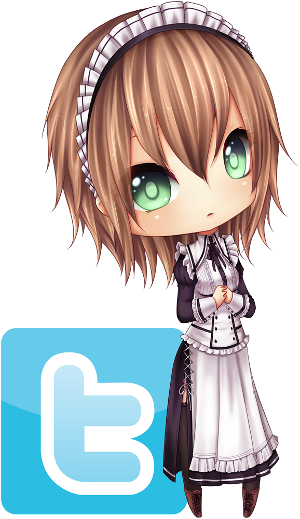 Oh, did I mention meta? 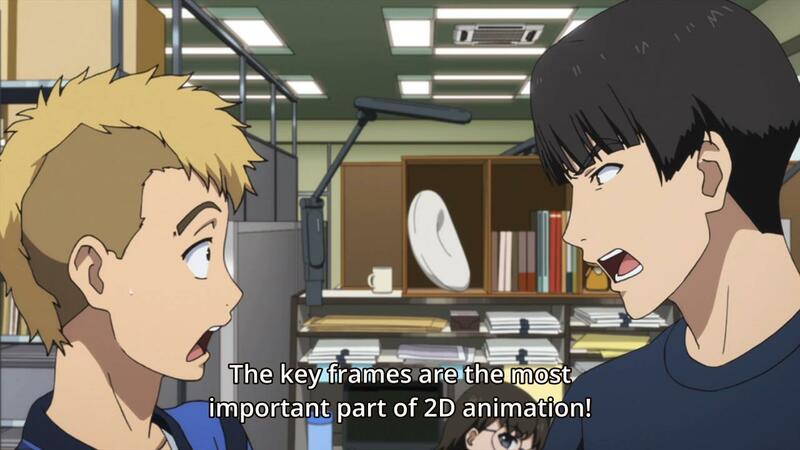 I think it’s because of this it’s easy to sympathize with how chaotic things can get working in an anime company, filled with a massive number of workers you need to co-ordinate with, many inside-terminology about the animation process, elaborate processes just to get a few key frames done. It’s not an idealized working environment at all, and Shirobako doesn’t stray itself away from portraying that reality. And last but not least, the FEELS. 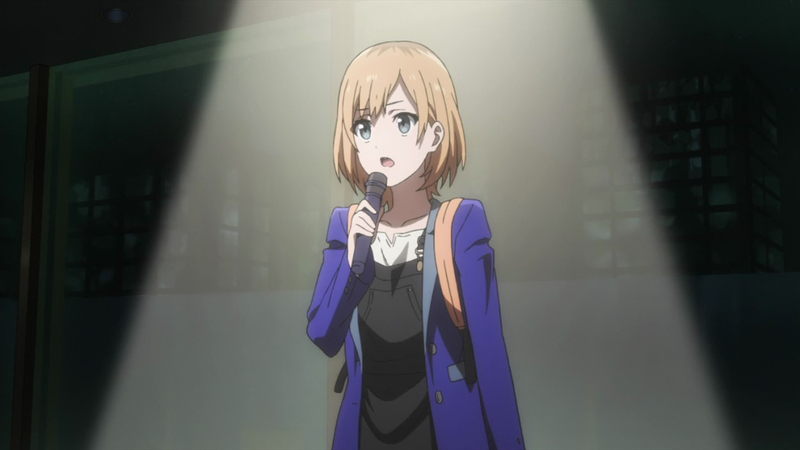 When all is said and done, Shirobako is mostly just a show about a few young adults struggling to seek anime-production as a profession-a seemingly fun job at first glance, but realistically unforgiving and relentless, something which actually turned an individual’s passion to toxic (yes, I’m hinting at Hiraoka again). They all certainly have their own personal issues, but I feel this is an overarching issue that they, at least the younger ones mostly, would deal with the most. Because I understood this well too, the last episode felt even more of an emotional roller-coaster ride, albeit a nostalgic one-Aoi’s simple, heartfelt speech really hits home and send us along a nostalgic and bumpy ride back to how many problems Aoi and co. needed to deal with along the way, and that sense of camaraderie and bonds among them who fought together and created Third Aerial Girls Squad. It is emotionally gratifying seeing these characters, these young adults, actually able to accomplish something who weren’t even sure about their future. Totally feels-inducing. 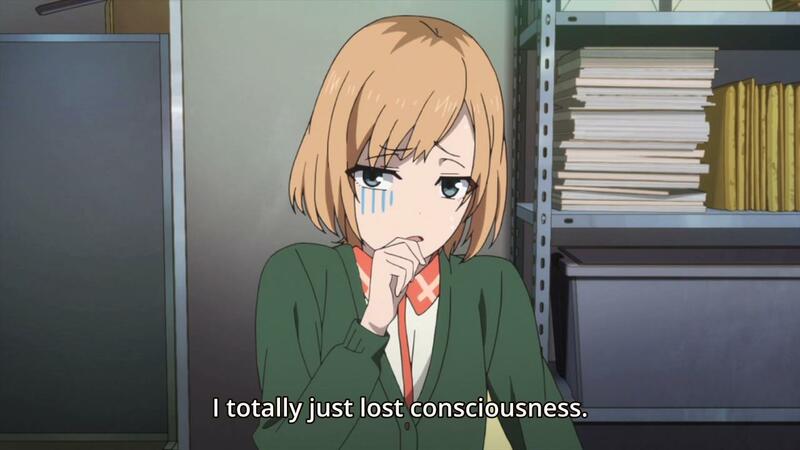 This is me after finishing Shirobako. I said it once, and I will say it again here. 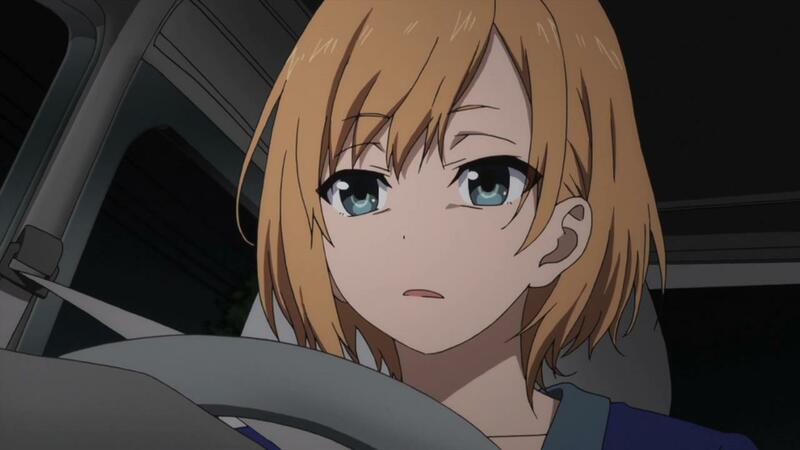 Shirobako is an excellent anime, in most part due to it’s uncanny ability in crafting realism-whether or not it’s the characters, setting and whatnot. It may not be tailored for everyone due to it’s realism, but if you don’t mind it, Shirobako is an extremely compelling anime. 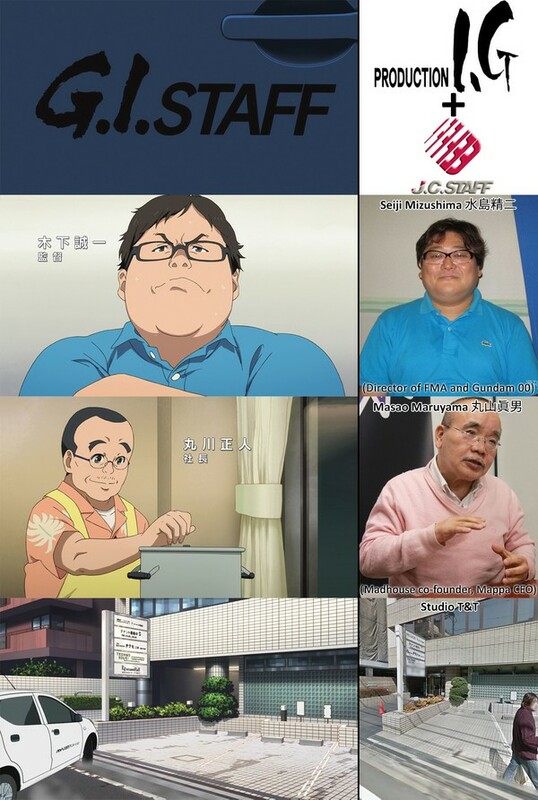 It provide us with insights of these anime production processes, while also reinforcing the difficulties that go along with these seemingly “dream” jobs with relatable characters. In the end, that’s all there is to it. Shirobako is just a (realistic) anime about anime, a simple slice of life anime about a group of young adults struggling at work and life. And that’s all it took, at least for me, for Shirobako to be one of the best anime I had ever watched in recent years. 1. Huh, I seem to have a new odd habit of adding trivia nowadays. Guess it helps when I want to say something not within the context of my post. 2. Originally wanted to write a review, but I ended up with this post after scrambling away with whatever were in my mind. 3. 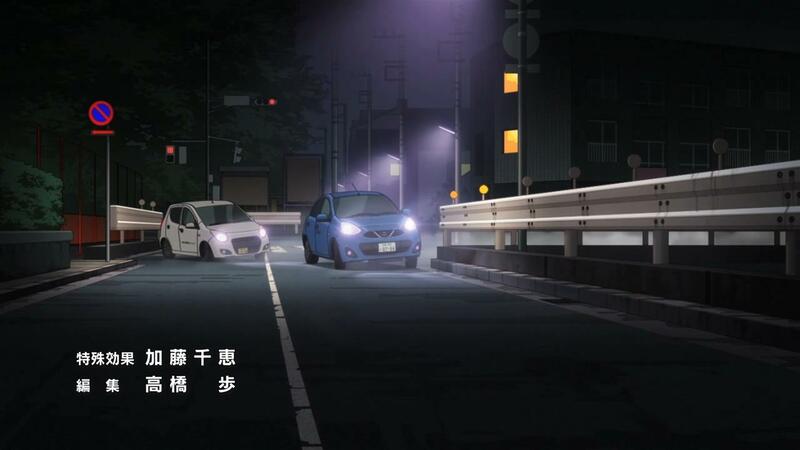 I rambled on and on about realism, but of course, there are a few exceptions, majorly, those hilarious Initial D scenes. They are minimal however, and did a great job in making the show more fun and entertaining without overwhelming the show’s realism. 4. Yano is Best Girl. 5. Just like Rin in UBW, Aoi has UNLIMITED FACES. Just for fun, I’m going to make a post on tumblr soon compiling whatever pictures of Aoi faces I can find. Please look forward to it. 6. OG of yurination wrote a review on it not too long ago. Feel free to have a read. You took the words outta my head and put em on paper, Great article. Nicely done dood. This would have made a great Part 2 for my review but I instead plugged it. Erika’s one of those women viewers can tell has been through a lot and knows many (if not all) tricks of the trade in the anime workplace. Also she would make a great girlfriend for Aoi. 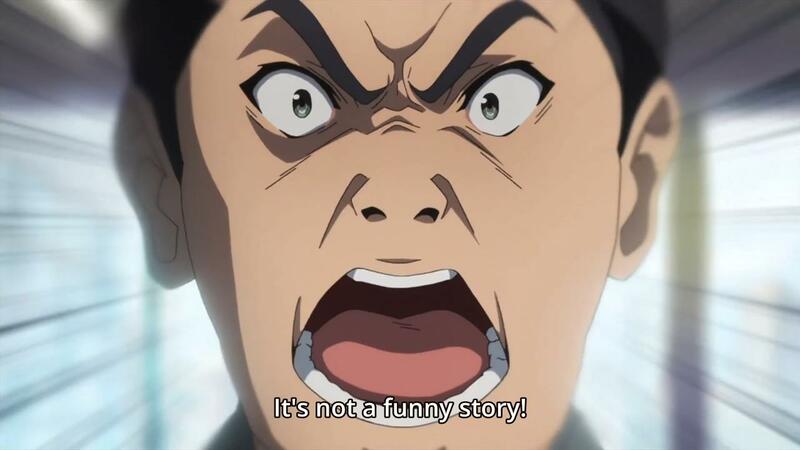 Ah Funny Story Guy…the character whose main purpose, aside from an exaggeration of an annoying assistant, is to have a villain who makes Tarou and Hiraoka “not-so-bad” in comparison though the latter two have valid reasons for being who they are. 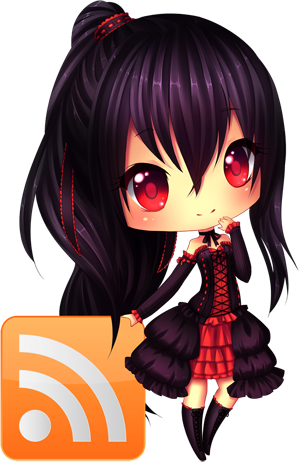 It would be amazing if there were a Goth-Loli-Sama in our workplaces. I like how she always look out for Aoi and helps her out whenever she needs. And yup, definitely make a good pairing. At least there’s some retribution in the end. Sure the show was somewhat idealistic, but I came to appreciate how Anime is being made and everyone know that having a career in the Anime industry is not easy (especially Animators, they have it worse with low wages as seen with Ema’s apartment, although I wrote a whole piece examining how bad the working conditions are for Animators in general). 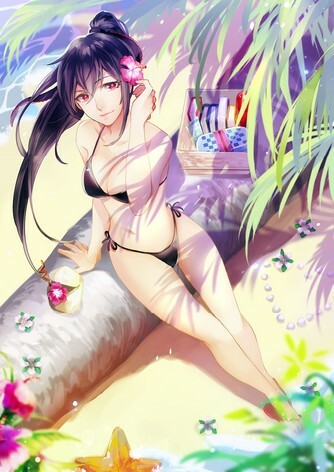 Of course, Shizuka’s difficulty getting her foot in the door in the voice actor industry also illustrate the highly competitive industry where there are only a handful of voice acting roles. Not to mention, there was an article that appeared on ANN just a few weeks back if I recalled that only 1 in 100 voice actors becomes professionals. I think in general, some of the things apply with any working environment such as incompetent workers and co-workers that one may not like. But aside from that, I really enjoyed this show and is probably the best PA Works has done so far after bombing badly with Glasslip (a show that I don’t want to even think about). Well, some parts of it, sure, but the show as a whole still looks pretty realistic to me, even if some parts of it are a little more positive than normal. Yea, I thought as much watching so many staffs in the credits in some anime, but having seen the whole process of creating anime (even if it’s from fiction), I had also come to appreciate the making of anime much more. I didn’t notice that but seeing Segawa’s apartment, that sounds about right, lol. And they are also eating mostly konbini food. Oh is it? Then the anime does reflect the competitive nature of the voice acting industry quite well. Indeed they do. They definitely redeemed themselves with this after that atrocious Glasslip, lol.